The hand of winter touches everyone in the small, medieval villages of Yarr, but this winter seems doubly bleak to Elfrida. Accustomed to being shunned as a witch unless someone has need of her healing ways, she will now know true loneliness - her sister will soon speak her vows and leave their home to follow her new husband. But a beast is stalking the forests around the villages, and he’s hungry for brides. When Christina goes missing, Elfrida vows to do whatever it takes to rescue her - even if that means offering herself as a sacrifice in exchange for her sister’s life. Magnus knows the scars he bears from the crusades render him abhorrent to women, but his heart still longs for love. When he’s called to slay the beast terrorizing the villages of Yarr, he unwittingly gains an ally - a beautiful healer who seems unafraid of anything, including him. Is it possible that a woman like Elfrida could see beyond his scars to the man within - or will the beast of the forest steal her, too, before he has the chance to find out? 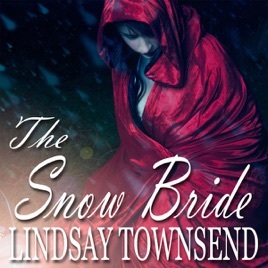 I recommend, "The Snow Bride" by Lindsay Townsend. The part I liked best about Lindsay's book was the hope and the love expressed by the hero and heroine. They had to find a common language, get beyond outward appearances and prejudices. Very well done work on overcoming disabilities and special gifts (which to some would have seemed like trouble in medieval times) to the core of human nature to love and be loved and to overcome evil. Thank you, Lindsay, for a tale that brings so much hope and true caring and understanding to the reader. I will be reading more of your books. I'm glad we connected on tweeter, @lindsayromantic, keep on tweeting.